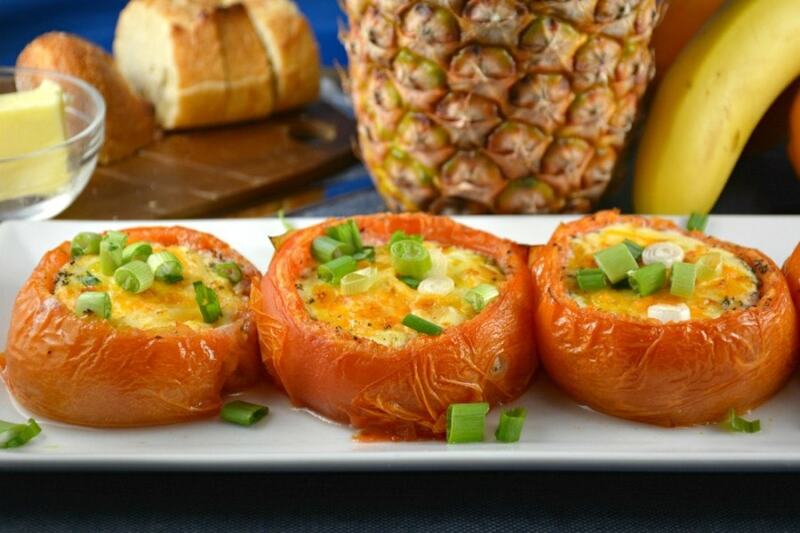 The Best Baked Eggs in a Tomato is delicious! The method is different and definitely worth a try! Especially with the fabulous result! You can use cheddar cheese, parmesan, your favorite variety or no cheese at all! My son prefers these served on a bun, like a hamburger, or with toast, like a sandwich, with a little mayonnaise! I generally prefer a knife and fork but both ways are so tasty and satisfying! I am always looking for healthy and different ways to serve breakfast. Aren’t you? 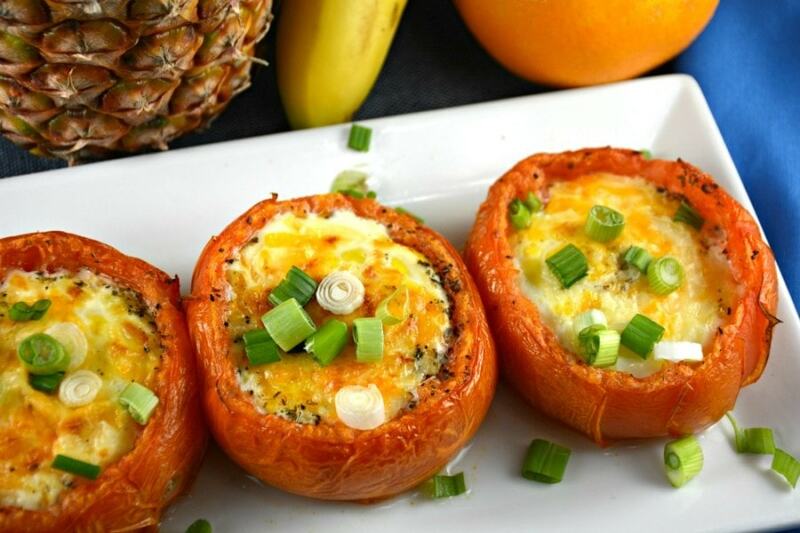 The Best Baked Eggs in a Tomato are so good and a great way to get some protein in you to start your day! 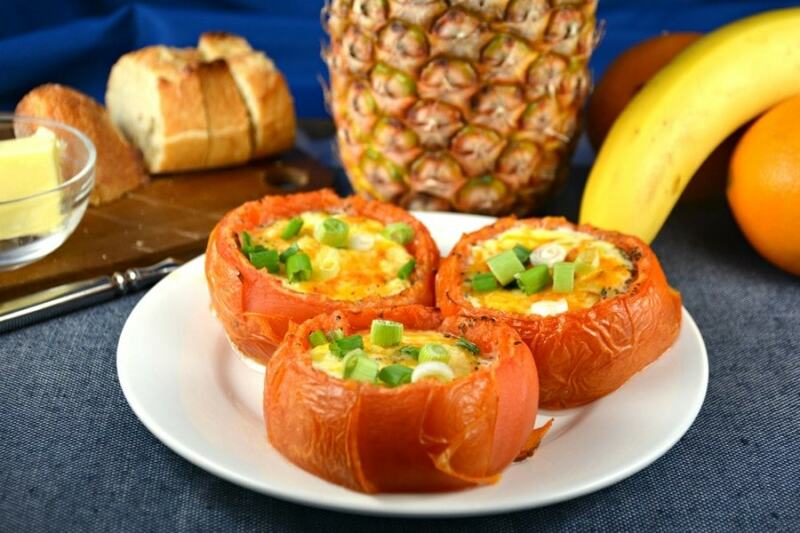 You should take a moment to check out our Roasted Sweet Pepper Cups and Eggs. They are even easier to eat! You can pick them right up and take them with you on the go or sit and eat them as a meal, sitting at the table! My grandfather always grew so many tomatoes in his garden and this was always another great idea to use them up! I remember picking the tomatoes and eating them like an apple, right from the plant in his garden. Once I had one with an egg baked in it I was hooked! Over the years I have changed the recipe a little but this is basically the way my grandmother used to make them! 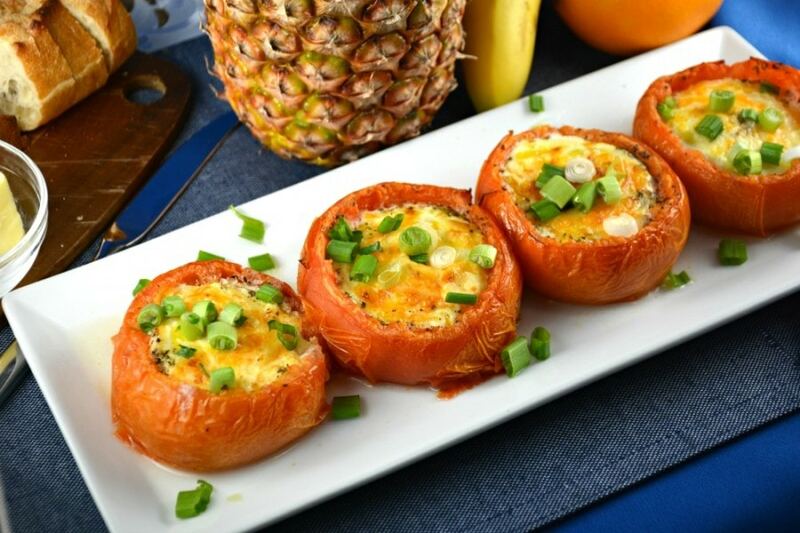 The Best Baked Eggs in a Tomato is definitely worth a try! Take a moment to check out our video below! You will love how easy this recipe truly is! Preheat your oven to 425 degrees. Prepare a baking sheet with tinfoil lightly coated in cooking spray. Set aside. Slice the top off your tomatoes, on the stem side, and use a small spoon to scrape out the core, seeds and pulp. Arrange on your prepared baking sheet. 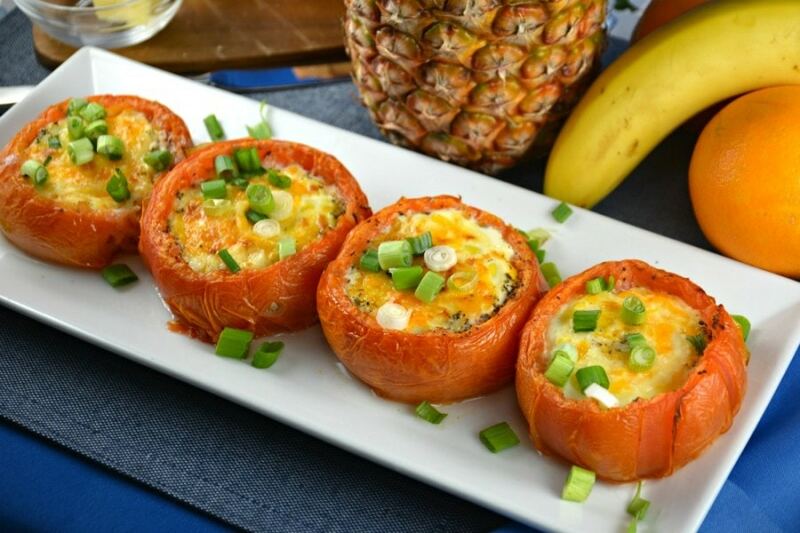 You might need to slice a little off the bottom of each tomato to keep them from rolling around on your pan. They have to be as level as possible. Using a brush, paint oil all over the inside and outside of each tomato, and season with salt and pepper. Sprinkle with basil or thyme and garlic. Bake tomatoes for 15 minutes. 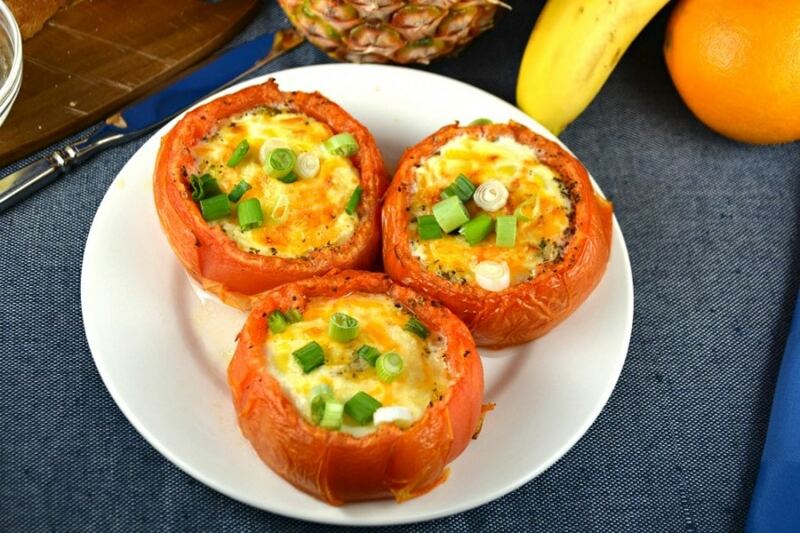 Sprinkle or place a pinch of cheese on the bottom of the tomato. Crack an egg and gently slide it into each tomato. Sprinkle a quick shake of salt and pepper and some more cheese. Return to the oven and bake until eggs are set, 8 to 11 more minutes. Serve immediately. Enjoy! 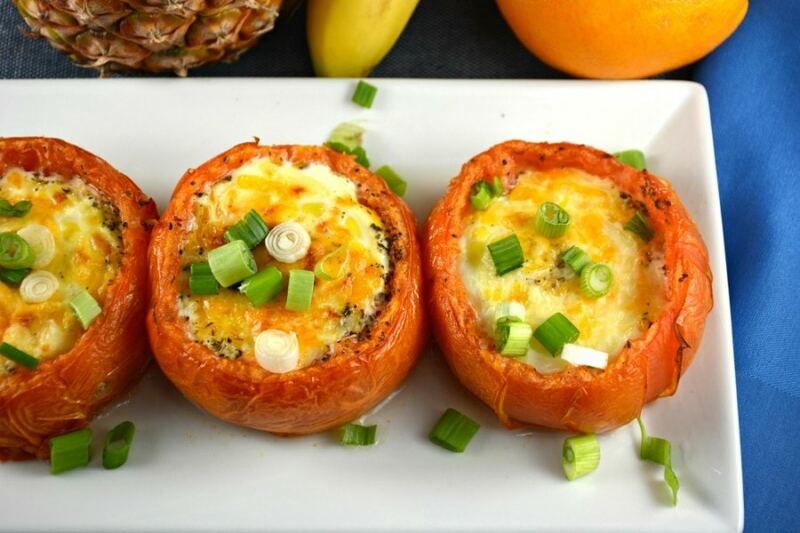 Simple and delicious recipes delivered to your inbox! Sign up today and never miss out on a Kitchen Divas creation again.